The bottle-flipping craze has become a thing of the past as a new container-related trend sweeps the internet. 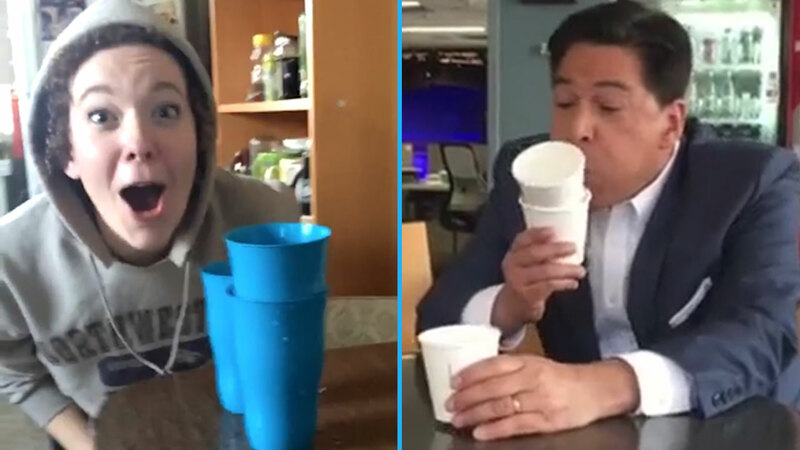 It's called the "Cup-Blowing Challenge." "Cup-blowing" is when a user spins a cup stacked inside of another cup until the top cup is spinning on its own. A quick blow will send the top cup flying in the air and landing inside of another cup nearby. Want to see for yourself? Check out the videos here. The trend proves yet again that going viral can be as simple as grabbing a common household item such as a cup and taking to social media. Taking up the #CupBlowingChallenge? Show us what you got by tagging #abc7NY!